The team at Legacy has brought another brewery to the Queen City. The Town Brewing Co. will open this summer in a 10,600 Square Foot building in the up and coming area dubbed FreeMore West. David Tschirhart and Rodney Faulkner represented Town in their search for the perfect brewery site. Town Brewing will serve small plates and sandwiches and will be family and dog friendly. Expect some collaboration between their next door neighbor Rhino Market & Deli, who is also a Legacy client, and the brewery. Town will have a 15-barrel system and plans on having a set of year-round beers and rotating seasonal brews. There will be both an indoor and outdoor bar on their large patio. Garage doors will give the interior space a great open and airy feel. Legacy wants to welcome Town Brewing Co. to the Charlotte Brewery scene. Another great brewery to look forward this summer! Tags: David Tschirhart, Rodney Faulkner, Town Brewing Co.
Potbelly Sandwich Shop Leases Third Location, Fourth in the works. 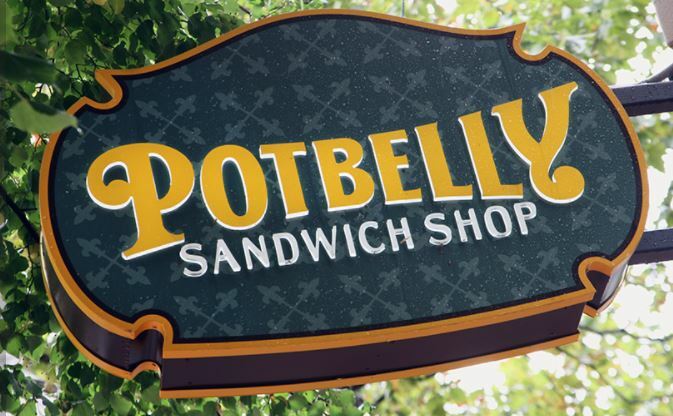 Potbelly Sandwich Shop has leased a third location in the Charlotte market — and already has plans for a fourth. Franchisee, Shak Patel, says the chain’s third local eatery in the Ballantyne area will open in late summer 2018. Patel currently owns and operates Potbelly Sandwich Shop at the Latta Arcade in uptown Charlotte and March 2018 will see a second location open in South Park . The third offering will be this newly leased Ballantyne store. David is assisting Patel as he negotiates for their fourth location to be announced at a later date….STAY TUNED. 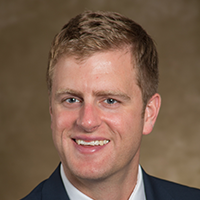 David Tschirhart of Legacy Real Estate Advisor has represented Patel and Potbelly in each He specializes in Retail Tenant Representation with a focus on the restaurant sector. He represents Mr Patel and Potbelly and is excited about their expanded presence in the Charlotte Market. 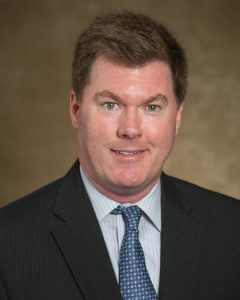 Prior to starting his real estate career, David worked 20+ years in the restaurant industry for companies such as Disney World, Steak & Ale, Bennigan’s, Sea World and the CentraArchy Restaurant Group. His vast restaurant knowledge gives him a unique insider perspective on the real estate side of what makes restaurants successful. The owners of this cozy American taproom uptown want you to make yourself at home. Is now open in the Fifth Third Center at 214 N. Church Street. That fast-casual pizza chain serves customizable, authentic Neapolitan pizzas. Dough is made fresh, in house daily. Flour and tomatoes are imported from Italy. Locally, Dan Tangeman’s Urban NC Bricks LLC expects to open three locations in the Carolinas within the next three years. 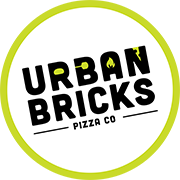 “I believe in the Urban Bricks Pizza product and that it will stand out among other fast-casual pizza offerings in the state,” he says. Adam Williams, with Legacy Real Estate Advisors, represented the landlord. Dilworth is all set to welcome The Rogue to the neighborhood. The Rogue is an authentic Irish neighborhood pub that will remind guests of a visit to Ireland. The look and feel of the pub are real but with modern American amenities like several big screen TV’s. The Rogue also features several Snugs which are small secluded booths. The ownership group of The Rogue sought out David Tschirhart with Legacy to locate a location. They were based in New York City and had little knowledge of either the real estate or the restaurant scene. David had both and facilitated their long-distance search. The Rogue will be open for lunch and dinner and will serve brunch too. The New East Town Market! East Town Market, open air shopping center and office suite complex trades for 13 Million. 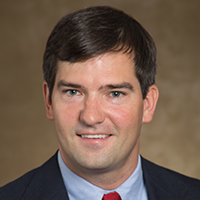 Legacy ‘s partner Rodney Faulkner played a referring role in the transaction between Red Hill Ventures and Sterling Global. The center consists of Shopping, Restaurants & Office Suites, all conveniently located in the heart of East Charlotte. “It will look dramatically different than it looks right now,” says Todd Collins Chief Executive with Red Hill Ventures. Rodney Faulkner and Hunter Graham with Legacy Real Estate Advisors, will be handling leasing for Red Hill Ventures. Contact Rodney Faulkner and Hunter Graham with Legacy Real Estate Advisors, for all your Commercial Real Estate needs.